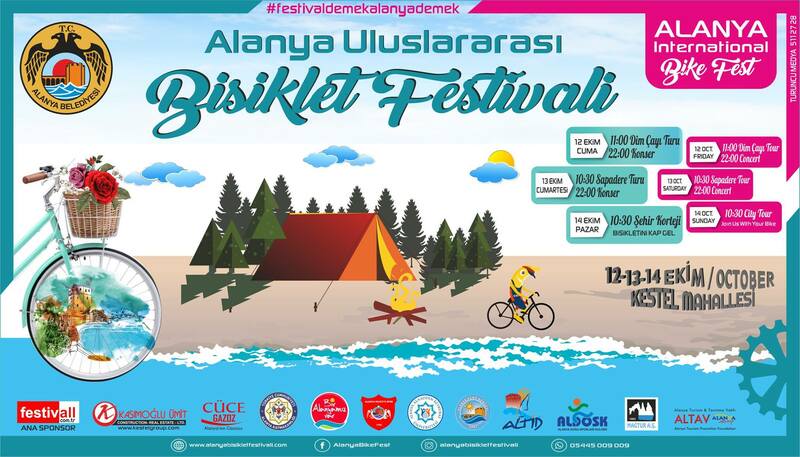 International Alanya cycling festival will be held at 12nd-14th of October in Alanya in Kestel area. 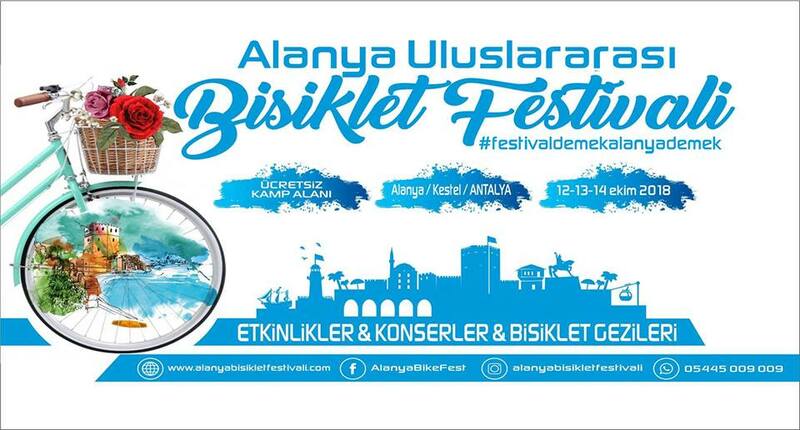 Organization committee arranging the festival for the first time in #Alanya and excpecting a lot of people to join. The camping area under the trees are already full. 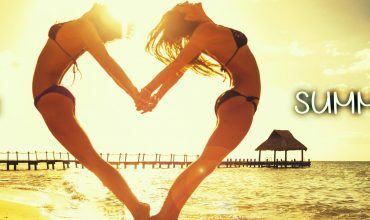 The new participants will be camping near the beach. 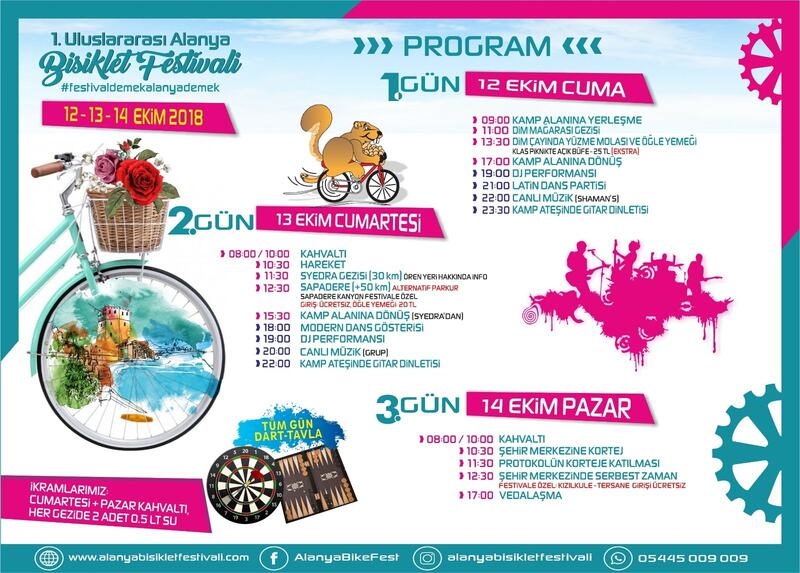 Alanya municipality and several NGO’s are supporting the festival. It will a great festival that makes the people inroduce many people from different places in Turkey and abroad. The participants will have chance to visit historical and natural beauties in Alanya. 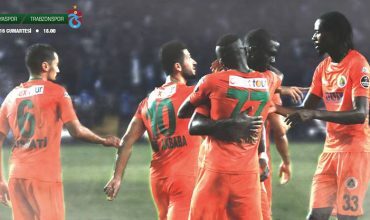 For more information you may contact to Tolga Silil. 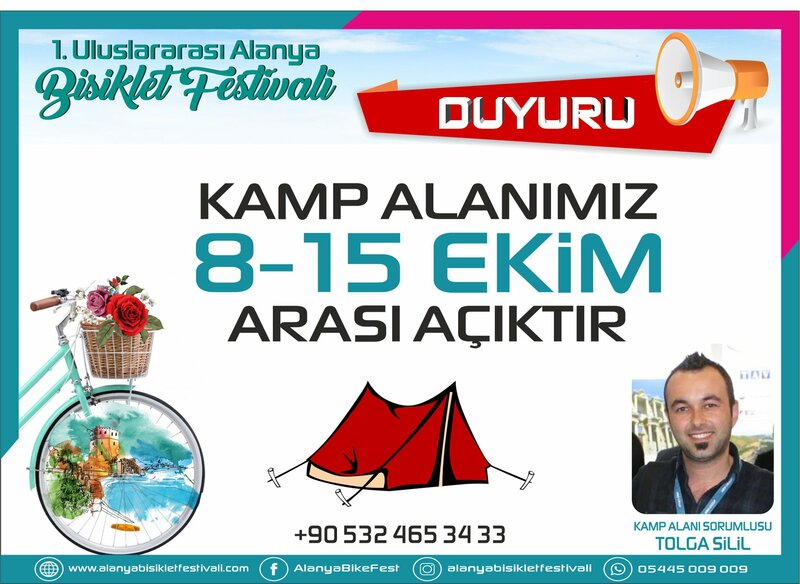 The festival is located in Alanya at Kestel area near the beach. Organisation committee is alreay very happy about the participations that many people from different places has already registered. During the festival there will be many shows and live performances.